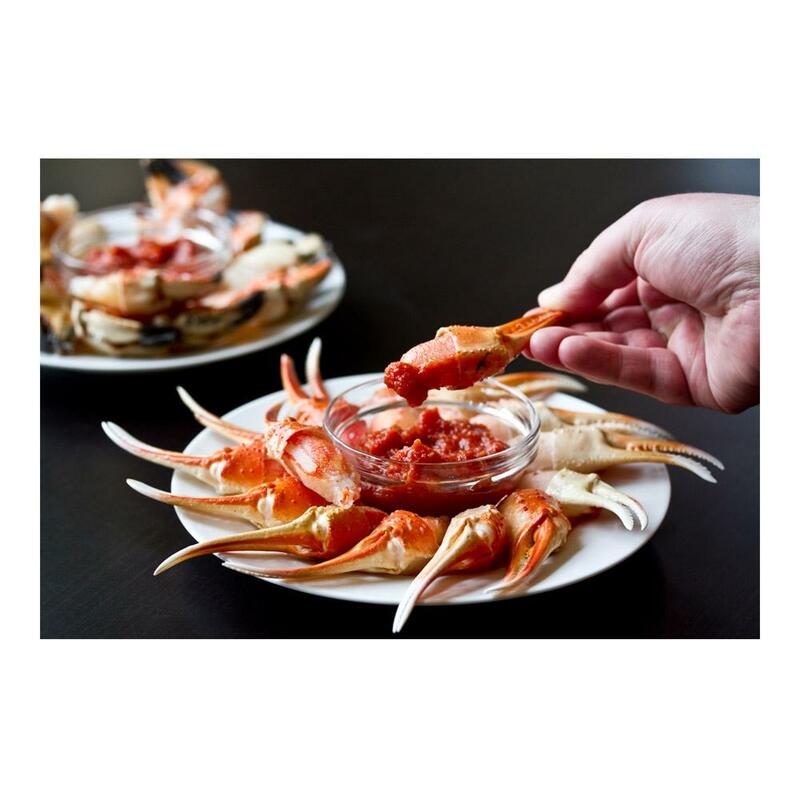 These snow crab claws are pre-cooked and have had their shells clipped to enable easy access to the large lumps of tasty, sweet crab meat. The easiest way to enjoy them is to thaw them and serve them chilled with melted butter, a dipping sauce, or as part of a salad. Diners can hold the shell as a handle, dip the meat, and then strip it out of the shell with their teeth. These claws can also be gently heated through and served hot. Store snow crab claws in your freezer until you're ready to use them, then thaw. Up to four months frozen, up to three days thawed in the refrigerator. 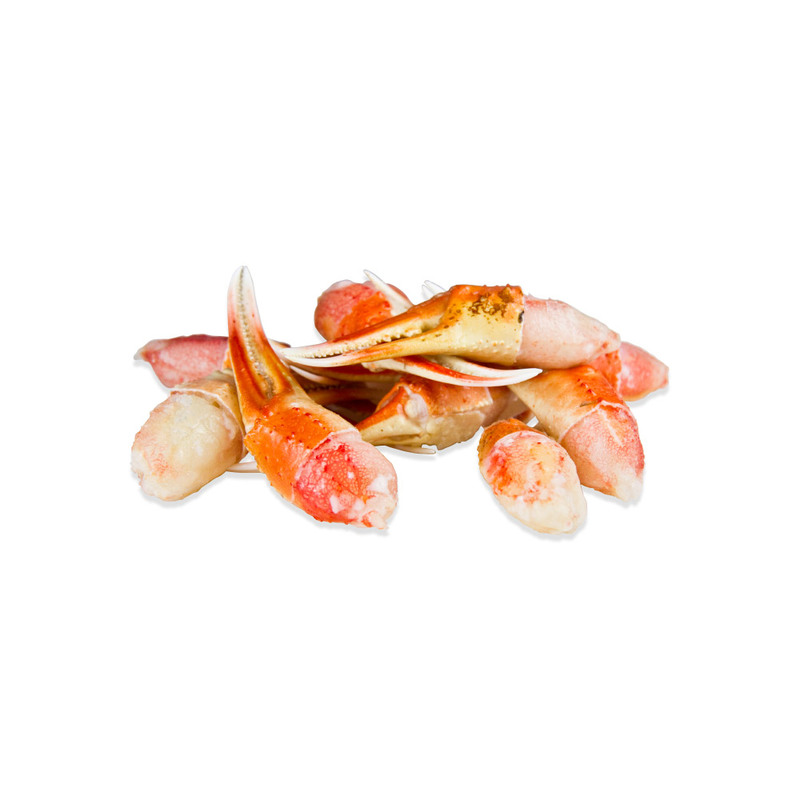 These snow crab claws are already completely cooked and once thawed are safe to eat chilled or can be gently reheated. Snow crab claws should be thawed before reheating. Take care not to overcook them, as doing so will damage their texture and flavor. Snow crab claws can be steamed or poached for about five minutes, sautéed in butter and herbs, baked or broiled. Crab pairs well with a huge variety of flavors, including peppers, vinaigrettes, cilantro, lemon, shiso leaves, lobster mushrooms, butter, tarragon, mustard, avocados, grapefruit, lemon, mayonnaise or aioli, shrimp, bacon, onions, bell peppers and a huge variety of other vegetables.